Later Nancy went to St Hugh's College Oxford where she gained a B.Litt. in Archaeology. At Oxford, she worked with Christopher Hawkes, Professor of European Prehistory. Her thesis for the degree later became her first published book: "Bronze Age Cultures in France" (Cambridge University Press, 1957). A number of bursaries followed which enabled her to travel in France and in Eastern Europe. In 1952 she went to Greece to take part in a dig on the island of Chios with Sinclair Hood. Not speaking any Greek at that time, finding her way there was an adventure, as she recounted in letters home to her sister (see right). 1958 Greece and Turkey. Nancy was already in Greece and decided to visit Turkey after she and anthropologist John Campbell had visited Mytilene on Lesbos (Mytilini), to house hunt for Phillip and Anna Sherrard. 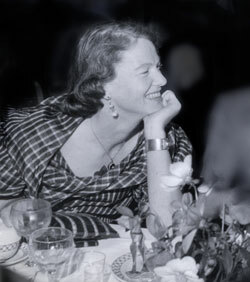 She was pursuing her work on the Aegean Bronze Age and was accompanied by Dorothea Gray, a don of St. Hugh's College in Oxford. 1959 Sicily, Sardinia, Yugoslavia, including attending a conference in Belgrade and researching art history.